Who took Woodworking in school? Now that we got Math Class out of the way (yesterdays blog http://goo.gl/NnWcG), who took “shop” in school? Remember, it was called “Shop Class.” You got to do all kinds of things like take a motor apart and put it back together, laid bricks and if you were lucky you got to do some woodworking! I remember this class from the 7th grade!! Is there still such a class today? It was a fun class. We got to design (on an architect table) and then build. 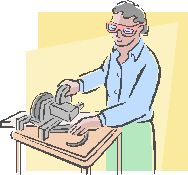 I don’t remember getting to use the table-saw but the teacher would cut your wood for you. Leave us a message if you took “Shop” in school!! ← Were you awake in Math Class?